According to a study published in the Journal of Feline Medicine and Surgery (2007), diabetes strikes 1 in 230 cats. This number is increasing; is your cat one of them? There are about 3.3 million cats in Australia, 85.8 million in USA, 7.4 million in the UK, and 7 million in Canada. If 1 in every 230 cats develops diabetes during its lifetime, that’s a whole lot of cats! While feline diabetes is a life-threatening disease, with careful management your cat can live a long and healthy life. Did you know that you can test your cat’s blood sugar at home? I didn’t. For four years I didn’t know what my cat’s blood glucose levels were without that painful (for both me and my cat) and expensive visit to the vet. Cats and Diabetes TM is here to help you, the diabetic cat owner, through the ‘unknown’ that we experienced for so long. You will find all the information, tools and diagnostic equipment together in this One Stop Feline Diabetes Shop! At Cats And Diabetes TM we understand what it is like to love a cat with diabetes. We understand how devastating it is to learn that your cat has been diagnosed with this life-threatening disease, and we know how difficult and scary it can be to manage the care that your beloved four-legged friend now needs. The diagnosis comes as a shock. All of a sudden you need to learn scary new skills to look after your baby in the best possible way. You will be ok, help is at hand. You can learn the necessary steps to ensure that your cat lives a normal, long and healthy life. Finding and choosing the right diagnostic tools can be time-consuming. It took me years to learn just some of the basics, researching online, sourcing products from multiple pharmacies and different vets, because there wasn’t one place that had everything I needed in my rapidly growing first aid kit. This process has been simplified for you in our Feline Diabetes Shop, which caters to all your feline diabetes care needs. Choose easy-to-use diagnostic equipment and other practical aids to assist you in managing your cat’s diabetes. 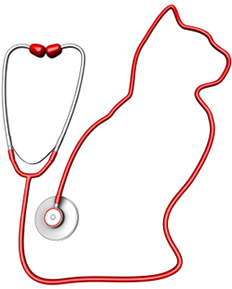 We also have veterinary practitioners in our team who have written valuable articles on feline diabetes. Does your cat get stressed going to the vet? Most of them do! Did you know that stress can increase your cat’s blood sugar levels? Learn to treat your cat in the comfort of your own home so that your baby no longer has to endure quite as many stressful vet visits! Most vets use invasive methods to obtain blood samples, and it doesn’t need to be that way every time. Sure there are times this is required, but not for day-to-day blood glucose readings. Wouldn’t it be nice to have the peace of mind of knowing that your four-legged friend can be spared this ongoing vet-visit trauma so often and be well-managed from home? The reality is YES! There are people all over the world who blood test their cats from home. Home management solutions don’t eliminate the need for your own veterinarian, who will always have a role in the management of your cat’s condition, but you can take an active role in monitoring your cat’s diabetes yourself. You will never replace your vet, but you can certainly improve your cat’s lifestyle, and indeed his or her longevity, by home monitoring to support your vet’s care. If you manage your cat’s diet, closely monitor food and water intake, and take regular blood glucose readings, then you can greatly assist your furry friend in maintaining a healthy body for a long and happy life. Remember to read our informative articles and visit our shop. PS Did you know that diabetes in cats is commonly referred to as feline diabetes mellitus. Mellitus is Latin for sweetened with honey. I wish you every success in the management of your sweet furry friend’s diabetes.